Attention all Trick or Treaters in Yaletown…Halloween Night – the most fun night of the year – is almost here! 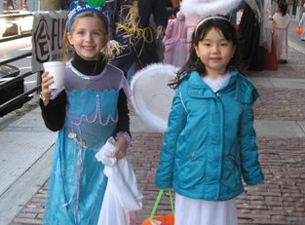 Everyone is welcome to join us in Yaletown for a spooktacular trick or treat route through the heritage district. On Sunday October 31st, during the creepiest part of the day (3:30pm-5:30pm) kids and parents are welcome to visit the merchants of Yaletown and scare up some treats.